A plan of the proposed route for the railway line to Sutton from Aston was produced in 1858. The line passed mostly through fields, and no houses would need to be demolished when the line was built, but even so there were some awkward spots. 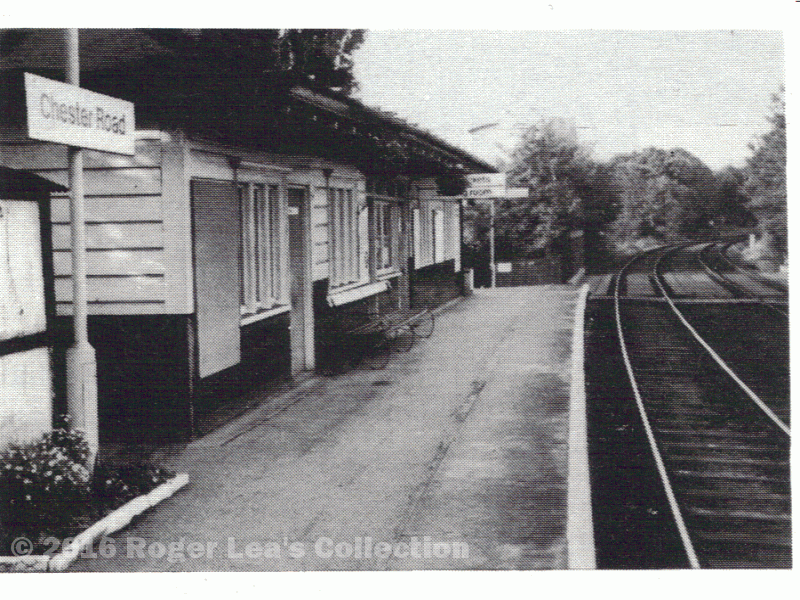 The line would cross Chester Road where it does now, but how to cross Green Lanes? At that time Green Lanes joined Chester Road to the west of the present bridge - in fact, Marston Road is on the line of the old Green Lanes. The problem seemed to be solved by a diversion of Green Lanes into Little Green Lanes, which would be crossed by a bridge at its junction with the old Green Lanes. But this line would have crossed the playground of Green Lanes School (opened in 1840); the Corporation Surveyor reported that “it is manifestly impossible for the works to be executed and the school to retain its present position”. The line as built avoided the school by diverting Green Lanes alongside the embankment, leaving its old course to become Marston Road, but this route passed straight through Sheffield’s Farm, which had to be demolished. John Sheffield had been the farmer here in 1824, as tenant of the landowner F.B.Hackett. Most of Hackett’s lands were to the north-east of Sutton, so he exchanged Sheffields Farm for some Corporation property in Little Sutton - in 1860 Mary Sheffield was the farmer, renting her forty acres from the Warden and Society. By 1860 it seemed likely that the area would become building land, so the farm was no great loss, although it was another forty years before Sheffield Road and Marston Road were fully developed. The rapid development of Chester Road was not anticipated by the railway promoters. When the London and North-Western Railway Company opened their Sutton branch in 1862, there was no station at Chester Road. The company soon recognised the demand for a station, and managed to squeeze one in on top of the embankment, and Chester Road station opened in December 1863.